It's hard to imagine a better place to read and work than study hall at Jacob-und-Wilhelm-Grimm-Zentrum, the new central library of Humboldt University, in Berlin. 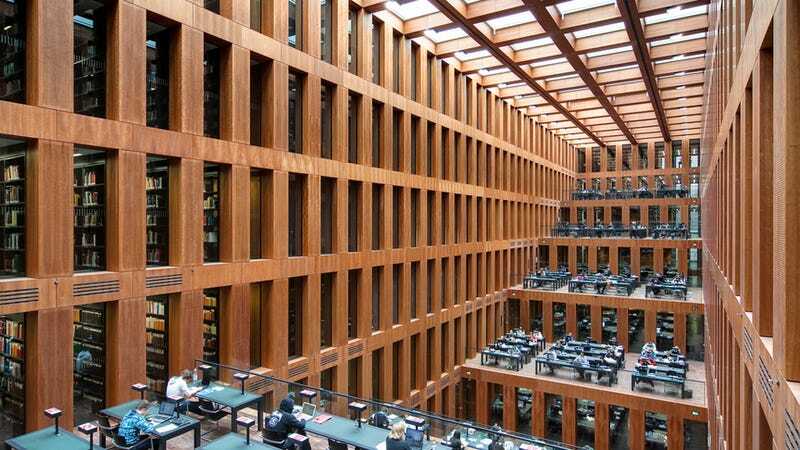 The library—which is located very near the Brandenburg Gate—was designed by Berlin-based Swiss architect Max Dudler. The building holds two million volumes and I wish it could hold me and a bed too. It's certainly one more reason to consider moving into that wonderful city. This photo was taken by photographer Christian Beirle González. Go to his page for more awesome architectural photography.